Many of you have been inquiring about the status of the Nautical Club Condos located in Indian Beach. If you follow Bluewater Real Estate’s tweets, you would have seen their tweet this morning announcing the Ribbon Cutting at The Nautical Club which will take place (tomorrow) Thursday, April 25th at 4:30pm. Here is a quick update. For everyone who has been calling me, the Emerald Isle, NC July 4, 2011 fireworks display will occur this year off the Bogue Inlet Pier at 9PM Monday night. If you’re leaving the Crystal Coast Sunday, it’s a shame as you’ll miss the sight of the fireworks being launched over the Atlantic Ocean. If you happen to take any photos of the 4th of July fireworks celebration in Emerald Isle (like the one to the right that I took several years ago), be sure to email me those photos to info@crystalcoastblog.com and I’ll post your photos here on the Crystal Coast Blog for all to see! 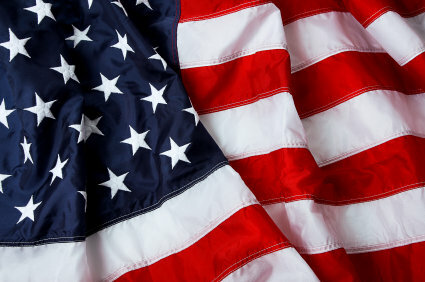 Everyone have a safe and enjoyable 4th of July 2011! Bobby – Your Crystal Coast Blogger! If you are wondering if the town of Emerald Isle will be launching it’s 4th of July fireworks display from the Bogue Inlet Pier, you can only hope it happens in 2010. Apparently, there are sign ordinance issues between the pier and the town of Emerald Isle that prevents the Bogue Inlet Pier from serving as the launching pad for this year’s Independence Day fireworks display. 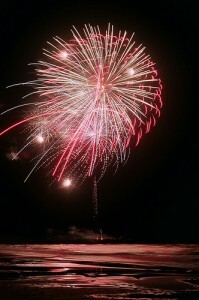 Where will the Town of Emerald Isle Host It’s 2009 Fireworks Display? 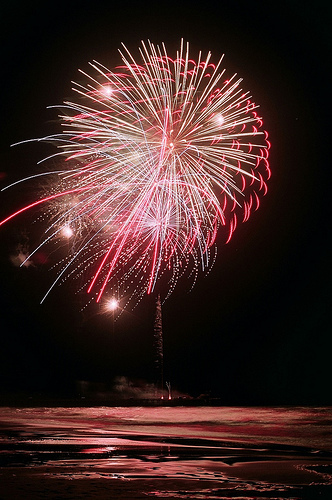 Sources now report the town of Emerald Isle’s Fourth of July Celebration will light up the night at McLean Park near mile marker 18 in Emerald Isle. For more details be sure to dial 252-354-6350. New Crystal Coast Photo Blog! If you happen to snap a great Emerald Isle 4th of July photo, I would love to see it and share it with the thousands of readers who stop by my new Crystal Coast Photo Blog. Drop me an email at info@crystalcoastblog.com and I’ll share your photos for all to see. 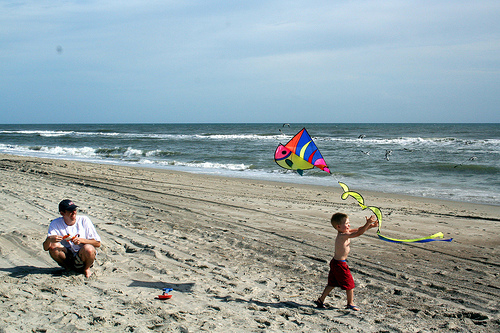 In case you haven’t heard about this Crystal Coast family event, the Annual Carolina Kite Fest is scheduled for this upcoming weekend on the dates of October 25-26. 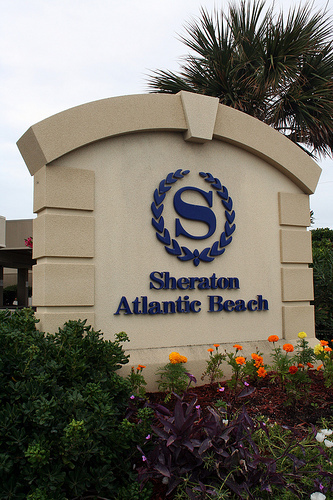 The 21st Annual Carolina Kite Fest will be held at the Sheraton Atlantic Beach Hotel. The 54th edition of Swansboro’s Mullet Festival got off to a soggy start on Saturday with dreary weather ruling the day. 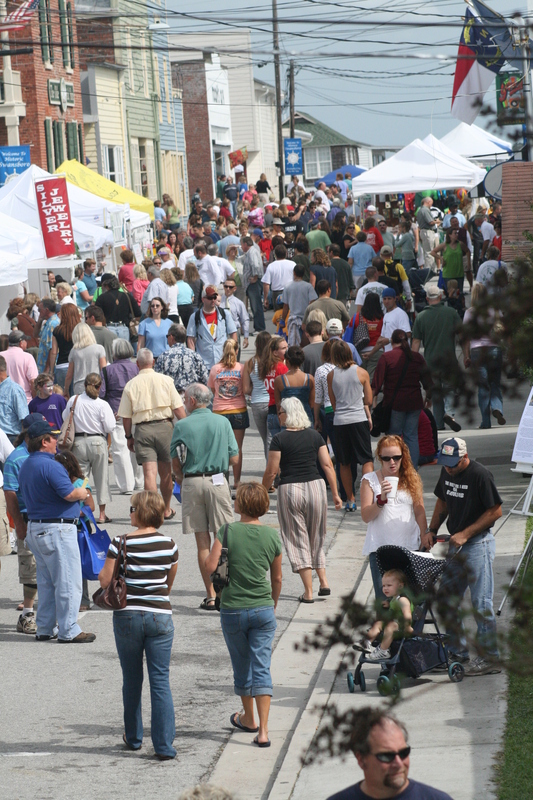 Even Saturday’s night events had to be canceled. Improved weather conditions greeted festival attendees on Sunday. No – We Don’t Pay Homage to a Bad 80’s Haircut! 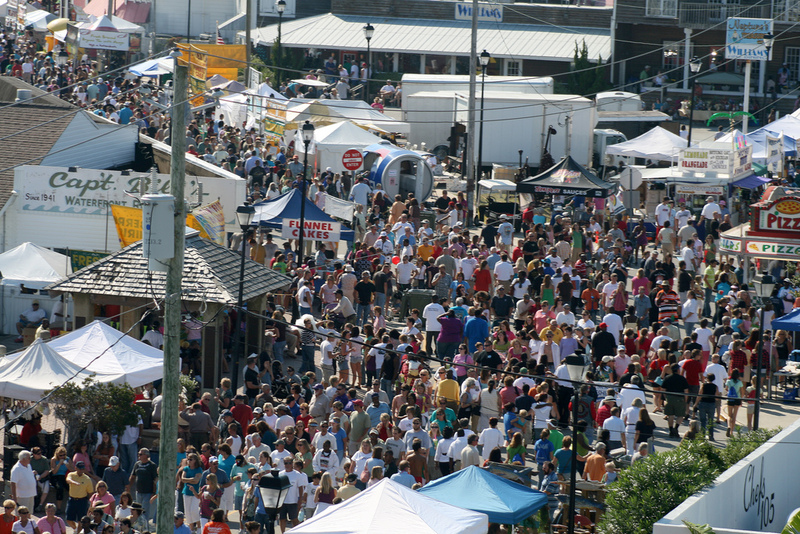 For my faithful readers who are not from around North Carolina’s Crystal Coast communities, no the folks in Swansboro, NC do not pay homage to the 1980’s “mullet” haircut with an annual festival. A “mullet” is a fish.